Fives took part at the Supply Chain Logistics Arabia event on 23 & 24 October 2018 in Dubai, UAE. Approximately 200 delegates attended the invite-only conference and exhibition at The Address Hotel, Dubai Marina, among which key strategic & decision makers as well as operational heads from the local Government, airports, retail, food & beverage industry and courier market. 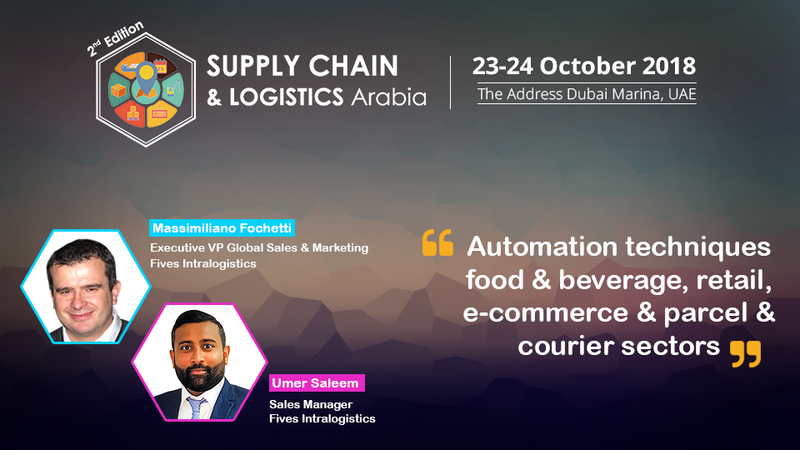 Fives’ representatives Massimiliano Fochetti & Umer Saleem introduced the company and presented the industry trends in the Middle East region, focusing on how Fives’ automated technology can make intralogistics operations flexible and efficient. The public has shown interest in the Group as well as in our automated sorting solutions. Fives’ purpose to raise awareness in the region has been achieved.